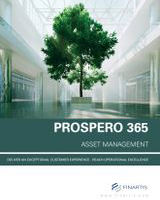 Prospero’s Fund Administration module offers you a comprehensive range of features, including automated processes and report generation, giving you the time to focus on the higher value-creating aspects of your business. Our 360° fund overview allows you to analyze, manage and personalize the activities of your fund in just a few mouse clicks. Within seconds, managers can access the day’s assignments, automated accounting operations (including exceptions), overall fund positions as well as the objectives, investment style and strategies of every fund. High quality reports (full audit trail, compliance, general ledger) can be generated efficiently and on demand. 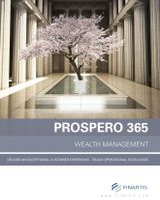 With Prospero, everything has been created with the modern financial manager in mind. Ensuring that a fund’s activities are in line with its prospectus has never been so effortless. Fast and accurate NAV calculation is an essential part of the fund administration process. Prospero has an automated NAV and pricing calculation, which can be applied across a company’s range of funds, including multi-class and master-feeder funds – all within a single mouse click. Prospero also allows NAV variation checks and pricing controls. Corporation actions can be automated or processed manually, giving users the flexibility they require. In addition, all changes made are recognized across the system, from pricing, fee processing and general ledgers, making the process more efficient and accountable. Fund managers face a daily challenge in reconciling positions and exceptions across their funds. Implementing these daily tasks efficiently and accurately is essential to minimize operational risks. What’s more, the challenge has been exacerbated by ever changing global and cross-border regulatory environments, Dodd-Frank and European Markets Infrastructure Regulation (EMIR) to mention just two examples. A dedicated team of technical and financial experts at SAGE have developed a comprehensive user-friendly solution, which allows companies to respond to these challenges. 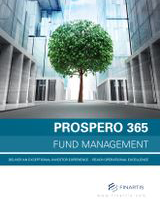 Prospero allows fund managers to visualize a full history of their funds activity, accruals, fees and NAV. Whatever the level of detail you need to access, Prospero can cater for the demand in a click. Regulatory changes in the past decade have significantly changed the role of the transfer agent. Recognizing the evolution demanded by these changes, our transfer agency module has been designed with flexibility at its heart. It enables companies to better manage their subscription and redemption lifecycle, shareholder registry and unit allocation. Managers can access and edit their clients’ profiles in real time, and take advantage of the scalability offered by the module. 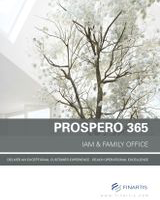 Prospero allows clients to deliver detailed and accurate high-quality reports to their investors. Each report is based on templates that can be configured to the individual requirements of the client with extensive options for charts and additional details. These reports can be scheduled to run at pre-set intervals and once generated, can be printed, converted to PDF files and e-mailed to the clients, or simply uploaded to the client’s own private account on the web portal. The Partnership Accounting module lets you handle the limited partnership’s specific tasks.